“I don’t really want to hire that African-American guy,” says exec No. 1. “I understand, buddy, but legally we can’t reject a person based on race,” replies exec No. 2. This is the kind of conversation—and potential cruel outcome—that the Civil Rights Act of 1964 and subsequent anti-discrimination statutes were supposed to prevent. Do they work all the time? Of course not. The law is often easy enough to circumvent. Versions of this imaginary conversation probably happen every day. Employers discriminate and skirt responsibility. But few would argue that this means we don’t need a federal civil-rights law. Good laws include a pedagogical component. They can set moral goalposts for the nation. On December 22, Ohio governor John Kasich signed legislation aimed at preventing abortions of babies with Down syndrome in his state. Like similar laws in Indiana and North Dakota, Ohio House Bill 214 targets doctors, making it a fourth degree felony to “perform or induce” abortions on women who have received a positive prenatal diagnosis of Down syndrome. The law goes into effect in March. I don’t expect this new law either to reduce the number of abortions of babies with Down syndrome in Ohio or to generate a sudden wave of respect for unborn babies who grow up to be people like my daughter Magdalena, who has Down syndrome. Nevertheless, I support the law because it teaches respect for all human life, just as numerous other laws—including the Civil Rights Act—have served as great moral teachers. Not all injustices can or should be outlawed, of course. But laws such as this one, which protect the most vulnerable from extermination, reflect our country’s foundational belief in equality and freedom. 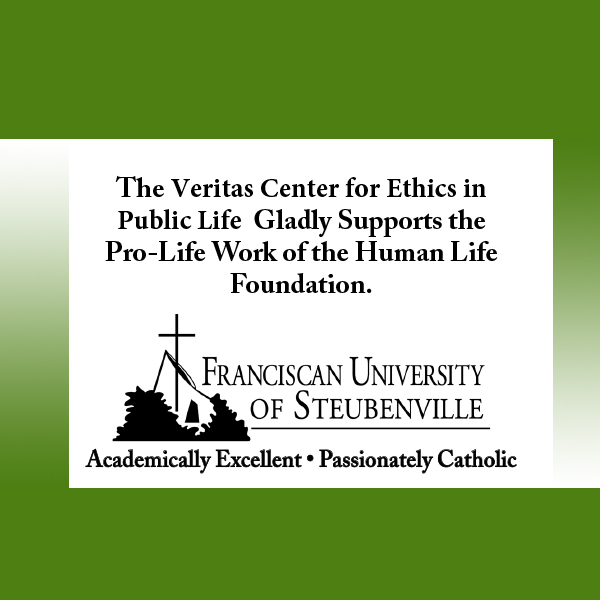 The usual pro-abortion fanatics have stepped forward to paint the Ohio law as an assault on “women’s health” and “reproductive freedom.” That’s par for the course. But in the Facebook groups and discussion threads I frequent, a more compelling critique has emerged, namely that underfunded educational and occupational programs are the pressing problem in states like Ohio, so why pass laws which are likely to be unenforceable when there’s other work to do? I am sympathetic to this view, within limits. Adults with disabilities have precious few opportunities for meaningful, dignified interaction with others. They have trouble finding schools and jobs. Often they are mistreated or ignored in public. The educational landscape for children with disabilities is similarly bleak; it is pockmarked by inconsistency, ineffective use of funds, lack of training, and poor planning. Still, why does it have to be one or the other? We ought to be able to keep up the fight for the dignity of unborn babies while also acknowledging and working to correct the deficits in our current system. Many of us are in battle mode, daily, for improved education and job opportunities for our children. No reason we can’t also applaud a law shining light on the targeted extermination of those just like our children. Again, this is an imagined conversation. Yet as with the one between the two executives, versions of it happen every day all over the country. Many teachers adhere to the letter of the Individuals with Disabilities Education Act while violating its spirit. Special education is a disaster in many school districts, even ones with all the money in the world, and the existence of this Act hasn’t changed that. Does that mean we should do away with it? No way. The Individuals with Disabilities Education Act enshrined in law the notion that children with disabilities deserved to be educated. It is worth a full-throated defense—even one that falls on deaf ears. We must likewise defend Ohio House Bill 214. For those of us who think the lives of unborn children with Down syndrome should be protected, it shouldn’t be an either or scenario. Some laws take decades or longer to bear fruit. A hundred years from now, people may note the passing of the Ohio bill in our nation’s history. Perhaps they will understand something important about us: We valued people with Down syndrome enough to create legal obstacles to their wholesale elimination. Whether we all agree or understand today is beside the point. The Civil Rights Act and the Individuals with Disabilities Education Act had their detractors, too. 878 people have visited this page. 1 have visited this page today.